Dropgate - Why Are So Many DJI Inspires and Phantoms Dropping Out of the Sky? Home / Blog / Dropgate – Why Are So Many DJI Inspires and Phantoms Dropping Out of the Sky? Dropgate – Why Are So Many DJI Inspires and Phantoms Dropping Out of the Sky? Dropgate – what causes sudden battery voltage drops? 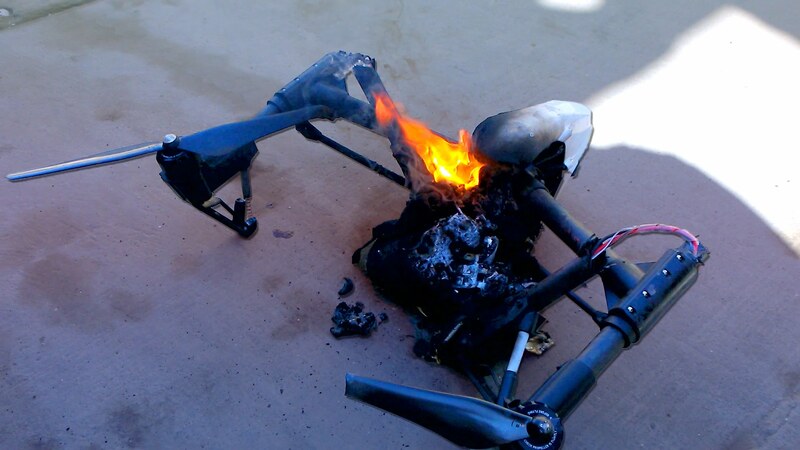 With the recent uptick in reports of DJI Inspires and Phantoms suddenly dropping out of the sky, it seems like the “Dropgate” may soon join the “flip of death” and “Naza/Phantom flyaway” on a list of mysterious issues with DJI drones. Here is a quick look at few reasons why this may be happening and some possible remedies. These incidents are mostly caused by a sudden drop in battery voltage, followed by auto-landing or even a complete mid-air shutdown, and they seem to be more frequent in cold weather conditions. After examining my own and others incidents of sudden voltage drops, I was left with a few factors possibly contributing to this DJI Dropgate. Is the Smart Battery too smart? 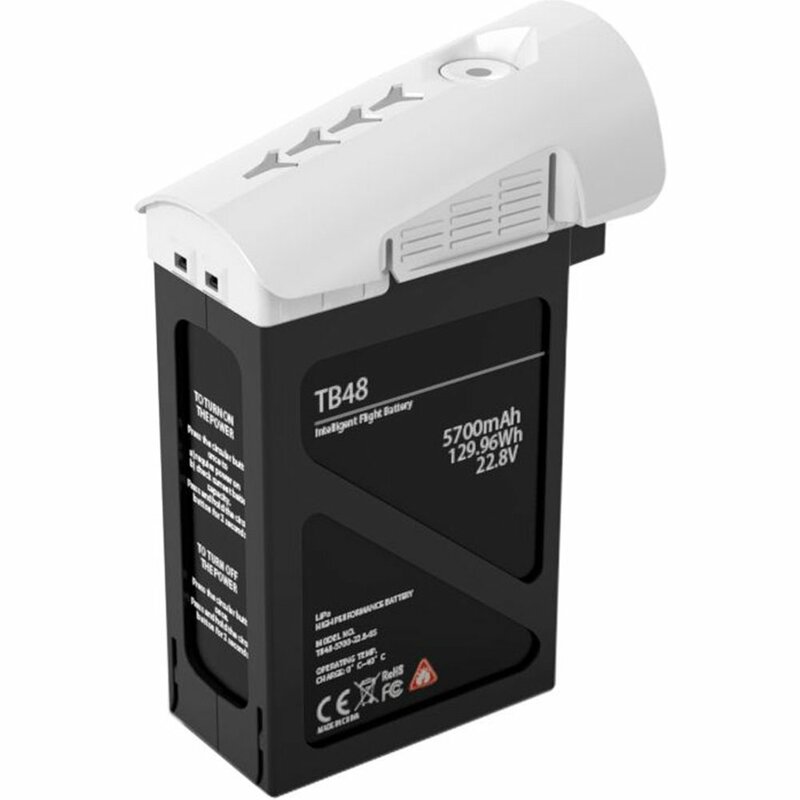 DJI Inspire and Phantom batteries will automatically discharge to their storage capacity when left idle for set number of days. 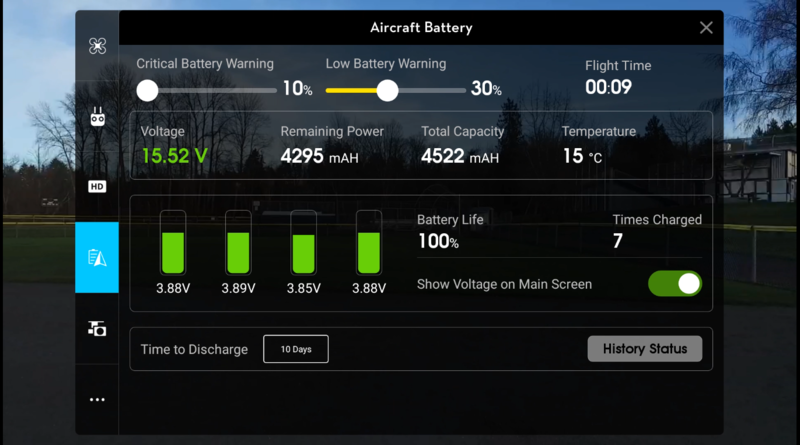 When this discharge process begins, both the built-in and DJIGO app battery indicators may show the battery at full capacity while it is already partially discharged (the capacity is derived from cell voltage, which may trick the drone into thinking that the battery is at full capacity). When the current is drawn, a sudden mid-flight drop in battery voltage occurs. To test this theory, I took four batteries on their first day into this discharge cycle and tried flying them on a cold day. The battery LEDs still indicated full charge, the DJIGO app showed them at 94-96% capacity. All four batteries have dropped to 70-80%within first minute of the flight, and then suddenly dropped to 3-6% forcing an auto-landing. This convinced me that this theory is correct. To mitigate this possibility, monitor the number of days till the battery enters the discharge cycle, only fly fully charged batteries, and hover for 10-20 seconds at the beginning of each flight and watch for any unusual drops in voltage. Many owners limit their flying in the winter, which means their batteries entering the discharge cycle more often, increasing the number of these incidents during cold season. This seems to be the most plausible cause of these battery related issues. Is there something wrong with the firmware? This increased number of incidents coincides with the release of 1.6 firmware version. Is it possible that this firmware has a bug causing these crashes? 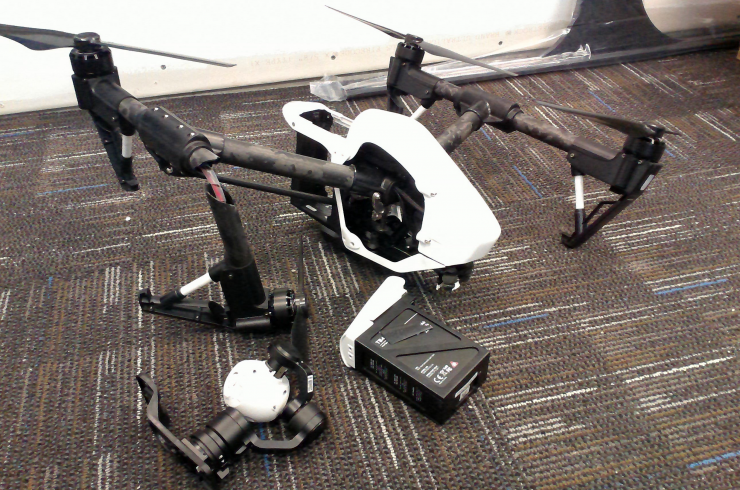 The chances of a firmware flaw being overlooked increases with the complexity of the drones and their functions. Given DJIs history of not always catching all the bugs before releasing a firmware upgrade, and not being completely honest about the ones they discover (some may still remember the S-800 flip of death or early Naza/Phantom fly-aways) , it is plausible that these crashes are caused by a flaw in the drone or battery firmware. I personally always wait at least few days before upgrading the firmware, and turn off automatic updates on my Apple devices to keep the DJIGO app from automatically updating and forcing firmware upgrades. Are the drones simply getting too old? It has been well over a year since the release of the Inspire 1, and many of the machines now have impressive amount of flights and distance travelled. It is plausible that the uptick in these incidents is simply a sign of aging machines coming to an end of their effective life cycle – they simply can’t fly forever. It is always a good idea to avoid flying directly over people, especially with “high mileage” drones. The hope is that DJI does not stay blind to these issues and examines any available flight recorder data and circumstances of these mysterious crashes and quickly offers a solution that makes Dropgate a history. Connect & Comment: Have you experienced a sudden voltage drop or crash? What were the circumstances? Did DJI replace your equipment after a crash caused by voltage drop? Do you think that DJI often chooses to ignore obvious problems with their product? This is one of the reasons I detest smart batteries….leave the brains in the charger and out of the battery. It’s cheaper, more efficient, and apparently more reliable that way. Yes I had one when I was testing my brand new X5. Only on a normal day. Not to cold, about 7ºC. I got all my batteries replaced (took a while but they did) I haven’t got a problem since (crossed fingers). Exactly that, scary, isn’t it? were you able to bring it back safely? I’ve had the Inspire under very thorough testing over the past six months or so. The discoveries I’ve made are rather shocking. This issue is just one of the many pitfalls and poor design decisions. What DJI have essentially designed, due to their lack of joined-up thinking, is a system whereby the battery will sacrifice the aircraft to protect one cell from low-voltage. This is not an acceptable mode of failure. In my view, it is criminally irresponsible as this has the potential to kill someone. The battery should give everything it has to keep the aircraft airborne, not override the pilot’s choices and shut-down mid-air. If they weren’t so intent on selling to idiots, there would be no need for idiot-proofing. DJI cannot be allowed to continue to employ such shoddy systems analysis and sell inherently broken aircraft. They treat it like its a child’s video game not a professional aircraft. The Inspire, as a system, is a ship spoiled for an ha’porth of tar. If the only thing which will spur DJI on to getting these issues fixed once and for all (by removing the idiot-proofing, not bricking up a doorway to fix a squeaking hinge as is their latest “fix”), is to ground all Inspires and subject DJI to the biggest class-action lawsuit in history fuelled by the social media buzz they created, then it’s about time that the aviation authorities stepped in and grounded them all before someone gets killed. They think that they know better than everyone else. After all, they’re still selling these things by the thousands. What impetus to they have to correct their failures? Although they label this as a “professional” aircraft, the evidence clearly suggests otherwise. Look at the video-game style badges and Chinese New Year templates etc. etc. etc… All this added in preference to actually fixing what has been broken since the Inspire was released and it still does not live up to the advertising claims. They simply want to sell as many of these things as possible to whoever has the cash to buy them regardless of the mentality of the purchaser. In fact, they sell more to numpties than to professionals, so they would rather make it appeal to numpties. The company policy is to target people who don’t want to read the manuals or apprise themselves of the local laws. I have some of their promotional material which backs up my claim and makes it clear in no uncertain terms, in their own words. DJI are almost entirely responsible for the current prevalence of airborne stupidity as a direct result of their marketing. After all, this was designed to be flown FPV BVLOS but does not actually meet the requirements of an aircraft for such a purpose (Smart Go Home isn’t necessary for an aircraft flown within the permitted VLOS cylinder and nor is a signal range of greater than 2 or 3km). The manuals are as shoddy as it is possible to get – they are incomplete at best, misleading in parts and completely wrong in others particularly in the description of an emergency procedure – CSC. Responsible operators simply cannot allow DJI to continue the way they are going. It’s the professional operators who are going to suffer. Right now, our commercial operations are on hold due to DJI’s shoddy attention to detail and we are losing money hand over fist. I want DJI to succeed. I want us all to have the aircraft we were promised. If DJI are determined to make as much money as they can before someone stops them, then they need stopping as quickly as possible and be forced to lose a large chunk of their ill-gotten gains. That might just be enough to spur them on to addressing these critical issues once and for all. They get away with this because we allow them to. Well said Paul, poor product design always falling short, theres no way professionals would entertain such unreliable kit. Marketing is what dji do best.. period!! Look at their flight controllers, how long was the A2 around? ended up being shelved like all their other fails. I recommend everybody to install a Mars parachutes system with the mayday board to keep your drone and people safe. Hi not in my case over a year of flying and more than 700 flights x3 and x5 cameras and a parachute just incase but only to protect people. I now own 2 inspires.